Wedding Invitations Colour Palette 2019 – keeping up with colour trends can be quite a task. The possibilities are endless when it comes to shades, tones and complimenting colours. If you are stuck for a little bit of inspiration, check out our predicted wedding colour trends for 2019. Wedding colour trends in 2019 are expected to bring in more brighter, richer and bolder colours to wedding venues, such as shades of orange, pink, yellow and red. Want to get some colour inspiration for your big day in 2019? Take a look at our colour trends we are seeing pop up this year. 2019 will be a wedding year of muted green shades, such as sage, jade and moss. You can pair sage green with other neutral earthy tones like taupe, grey or beige. Dusty orange is the new pink for 2019. Unlike the traditional autumnal colours these muted tones feel so much more elegant. This colour combo is so easy to work with because of all of the floral and linen and attire choices that are available for autumn 2019 brides. Yellow! 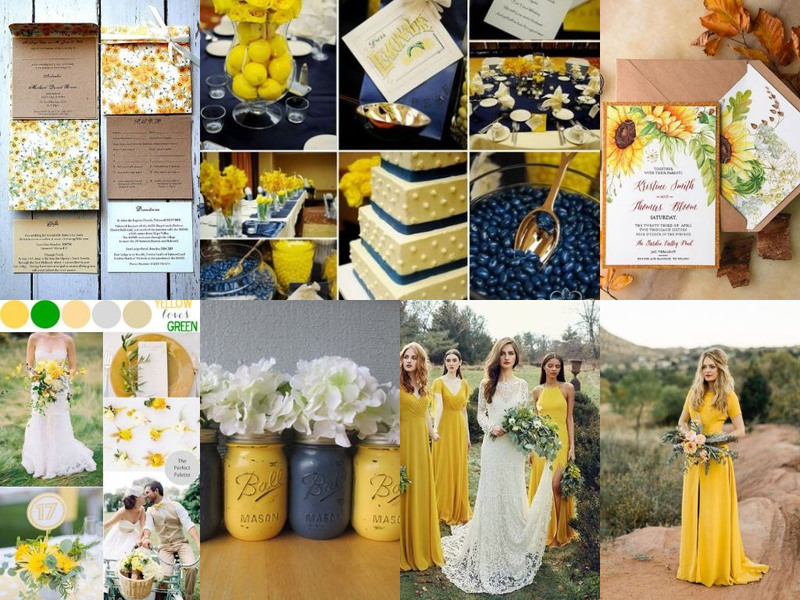 It’s the colour of sunshine and sunflowers making it a happy choice for a hot summer celebration. Yellow comes in a variety of hues, but we are so enamoured with a pineapple shade as a trendy upgrade to the sunny yellows we’re all used to. Add in a beautiful ivy green and soft pink for a romantic and free-spirited combo that is perfectly befitting for a country summer wedding … and one that will leave guests smiling. We are excited about berry pink because it is a fresher version of burgundy. This colour will work at anytime of year and much like burgundy, your colour options are going to be endless when it comes to flowers and decorating. This fresh colour also looks amazing on all skin tones and even though it’s a little bit brighter it still feels very elegant and sophisticated. Dusty blue has been a colour on the rise in 2018 and we don’t see it stopping for 2019. It is a sophisticated blue and also pairs well with other shades of blue such as navy and slate blue. It works at anytime of the year and because florals are limited in blue tones, this is going to be a colour that you will want to make sure you accent and attire, table linens, and printed materials. View our wedding inspiration gallery or email sinead@theinvitehub.com to talk through ideas for your wedding colours and wedding themes, giving you that little bit of extra inspiration, making your day perfect.